I present for your viewing pleasure a 1981 Genstein Franken Tudor 9411/0. 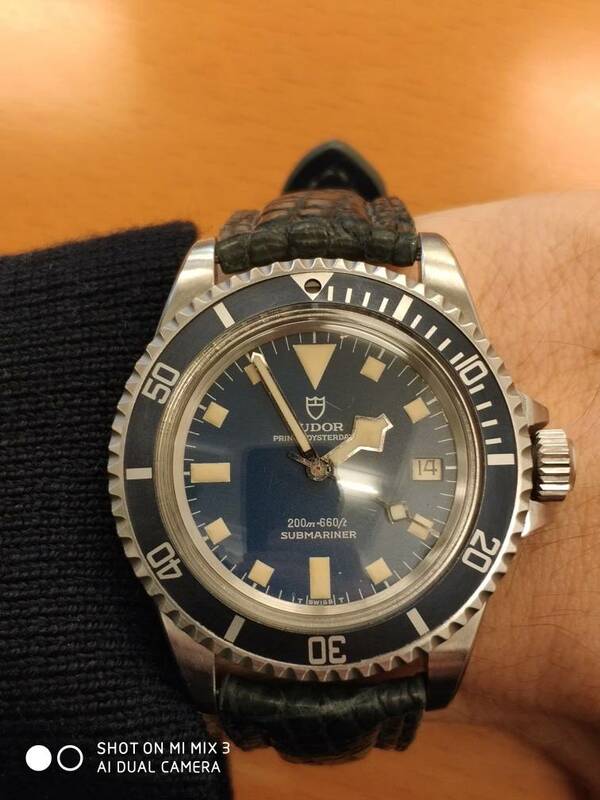 The project started out with the purchase of a genuine Tudor 2784 movement and went from there. Awesome looking watch, 9411 is on my list of builds ! Currently building 16610lv. Please let me know if you have, TC PA2 bezel, gen lv insert, gen lv hands. Very nice work, thanks for sharing. Enjoy! All I ask is a tall ship -- and a load of contraband to load it with. That's my dream watch so beautiful! That is soooo cool. What strap is it on? Got those 25 posts now ? where did you buy this watch? Thanks. I built this watch.